Answer the ten questions your nominator asked you. Think up ten new questions you would like for your nominees to answer. 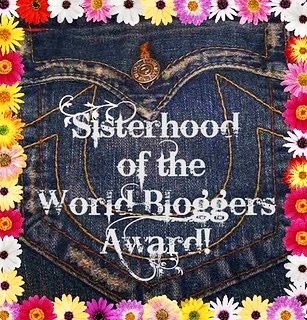 Nominate ten other bloggers you follow and love! 1) Favorite perfume for this summer? This month, I’ve been spritzing myself in the morning before heading out the door with “Giulietta” by Tocca. It is definitely a sweet-smelling perfume, with the key notes of ylang ylang, green apple & pink tulips, and I find it so refreshing and whimsical for summer. 2) Have you ever seen an opera? If so, which one(s)? Unfortunately no, not yet. But it is on my bucket list to go to the Metropolitan Opera before I leave NYC! 3) Your go-to red lipstick? Well, since meeting with the Founder of Bite Beauty, I’ve developed a loyalty to her brand and have been loving her “Rioja” Cashmere Lip Cream. 4) Where did you spend your last holiday? Spring break with my best friends in Punta Cana~ With a road trip to Santo Domingo thrown in. 6) Favorite restaurant ever? Oh god, it is so hard to choose… In fact, I can’t – please forgive me! If you follow my instagram, you will see that I eat anything and everything and love it all. 9) Name a makeup or beauty « crime ». Nail polish. I remove and reapply nail polish at least twice a week, which I know is not the best thing for nails. But I just can’t stand looking down at my fingers and seeing overly chipped, or *gasps* bare nails! 10) Which book are you currently reading? “The Magus” by John Fowles. 11) What is your number one goal in life? Be a better mother than mine was to me – and she set the bar frighteningly high. 12) What is one of the most embarrassing moments you have experienced? One day not too long ago, I was heading down University Place to class, unknowingly flashing my white underwear with little cherry designs on it for the world to see for a good 5 blocks before an elderly man rushed up to me and pointed out the wardrobe malfunction. After which, my face turned bright red and I apologized profusely, only for him to say “No need to apologize to me. It’s not every day I get such a view!” Since then, no matter how much of a rush I am in, I always check to make sure that my skirt is not caught in my bag. 13) If you could only wear one face/makeup/skin care product for the rest of your life, what would it be? Moisturizing day cream with SPF 30+. Seriously, take care of your skin people! That is closely followed by eyeliner though. 14) Do you like where you live? Yes, even though I’ve been here for 4 years already, there are still days when NYC takes my breath away. 15) Describe your home decor style. Eclectic. I love shopping for home goods and picking up things here and there from my travels. 16) Name one regret you have. Saying “yes” to my ex-boyfriend when he asked me if I wanted to be his girlfriend. Looking back, I realized that at that time, I wanted to be in a relationship (since I’ve never dated before then) more than I wanted to be in a relationship with him. 17) What is your favorite flower? It changes seasonally, but as of right now, I adore bleeding hearts. 18) What is another hobby you have outside of blogging? Reading. I can spend hours tucked away in a coffee shop corner, basking in the sun (haha, who am I kidding, shade) at a park, or lounging in bed lost inside of whatever book I am reading at the moment. 19) What is one item on your current wish list? An engagement ring… Haha! Just kidding! But actually! Let’s hope my current boyfriend doesn’t see this and run the other way… Supposedly humans are divided into two categories: career-oriented or family oriented. And without a doubt, I fall under the latter category. I’ve always been “the mom” of my friend group, and for as long as I can remember, I’ve looked forward to starting a family of my own. 20) Favorite food? Shrimp. Apparently, shrimp was my very first word too! 1.) What is your best childhood memory? 2.) How would you describe your fashion style? 3.) If you could live anywhere in the world, where would it be? 4.) Are you a morning or night person, and why? 5.) Describe your home decor style. 6.) What is your favorite food? 7.) Besides blogging, what is another hobby you love? 8.) If you were a color, what would it be? 9.) What is the top item on your bucket list? 10.) Share with us one thing (or more if you’d like!) unique about you.